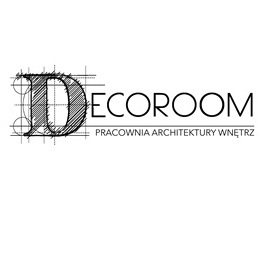 Decoroom in an architecture studio active in the interior design market for 7 years. It has completed over 1000 projects so far and is still developing very intensively. The team is composed of 14 architects and 52 construction crews with experience both in individual projects and in big housing projects. The biggest advantage of the Decoroom company is its comprehensiveness. In one place, you receive a project, the highest quality materials, trusted construction crews and supervision over the works in the person of a coordinator, as well as an architect. You also get a guarantee on all the finishing works completed by Decoroom. above all - saving time and money owing to comprehensive arrangement packages. HOW DOES THE COOPERATION WITH DECOROOM LOOK LIKE? The Decoroom and Showroom offices are located in a well-communicated city center. After the initial talks with the customer advisor department, creating an initial concept and determining the budget, a leading architect is assigned to take care of your project. With this architect, you can choose in our Showroom all the elements for the finishing of your apartment. From the floorboards, tiles and gres tiles, up to the wall colors, doors, lighting and door handles. Choosing the materials and approving the project is the stage after which the coordinator and construction crews start their actions. Owing to the coordinator and architect care you have control over what is happening in the apartment, you save time, and in case of any questions, you have specialists with vast knowledge and experience at your disposal. The biggest advantage of Decoroom are the special finishing packages prepared by a team of architects and interior decorators, in which you will find finishing materials from reputed makers. The architects will help you select the materials for a given type of interior, propose interesting and functional solutions. You do not have to waste time searching for the range of products in stores. In the Showroom office, you can choose the floors, tiles and bathrooms. There are no hidden costs. The unit cost per m2 includes all the costs necessary for the completion of the service. The Standard Package is a package in which there are high quality products at a competitive price, allowing to arrange your apartment with taste and at a relatively low cost. The Premium package was prepared for the demanding customers, valuing a high quality of the materials, modern design and refined details. Especially recommended to persons who have bought an apartment in raw state or from the secondary market. The prestigious package for the customers seeking luxury, elegance, refined style and the highest quality materials. This package is dedicated to people who expect unusual, innovative solutions and fresh ideas from Decoroom.